The ZF plant Saarbrücken, Germany, manufactures around 11,000 transmissions per day. With 17 basic transmission types in 700 variants, the plant manages a large number of variants. Every transmission consists of up to 600 parts. The plant Saarbrücken is a forerunner and lead plant in innovative Industry 4.0 technologies. Therefore, an AI project was started with the objective to get reliable and fast results on root cause discovery. Speed is important because production runs 24 hours / 7 days a week. The target is to reduce waste in certain manufacturing domains by 20%. The key success factor is the fast detection mechanism within the production chain delivered by AI. Complex root-cause findings can be reduced from several days to hours. 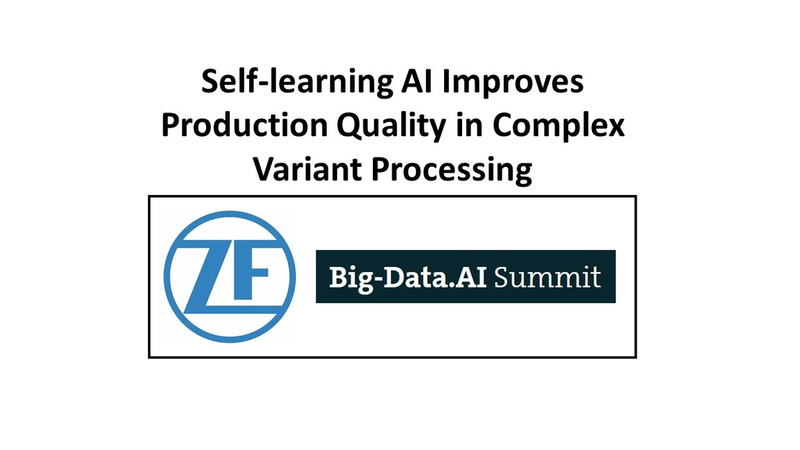 A self-learning AI solution Predictive Intelligence from IS Predict was used to analyze complex data masses from production, assembly and quality and to find reliable data patterns, giving transparency on disturbing factors / factor combinations.